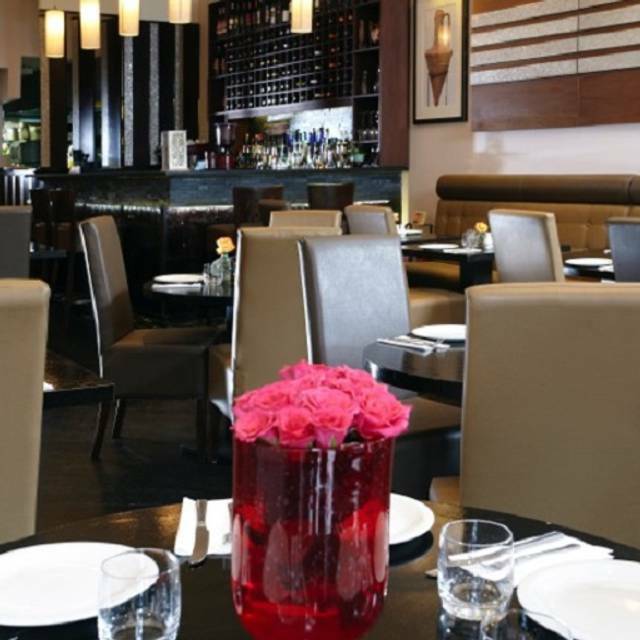 Warda Lebanese Restaurant and Wine Bar is an elegant restaurant serving delicious Lebanese food with a modern twist. 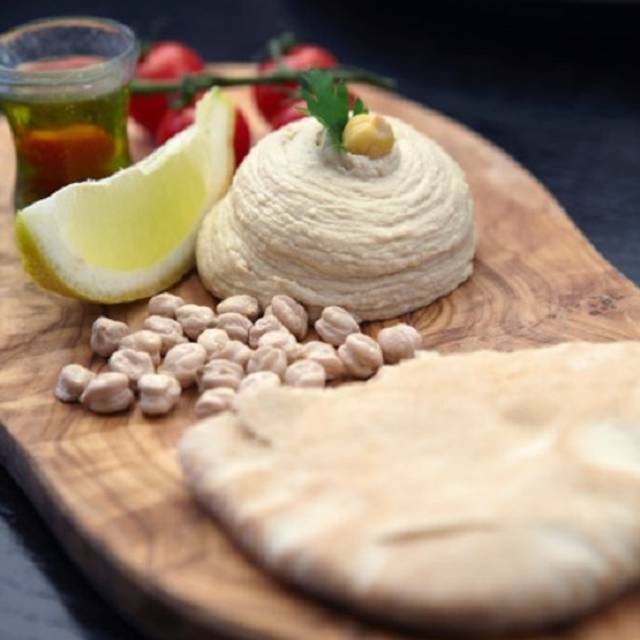 The menu showcases the best of Middle Eastern cuisine ranging from the simple to the refined. 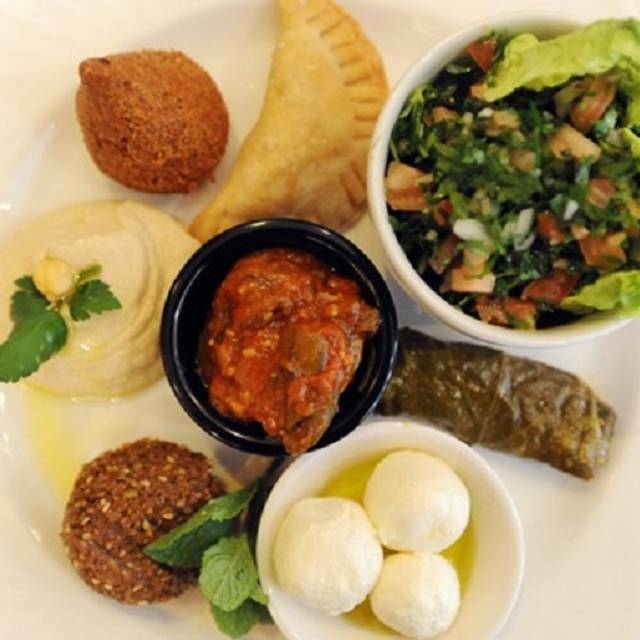 It is a culinary exploration on which your family and friends can enjoy variety of flavours and aromas, with timeless dishes such as kibbee, tabouleh, vine leaves and kafta lamb. Chef Youssef Harb focuses on using only the freshest and finest ingredients and continues to construct truly delicious meals. Try one of his speciality dishes, freshly cooked to his own recipe, Five Spice Lamb, which will leave you wanting for more. 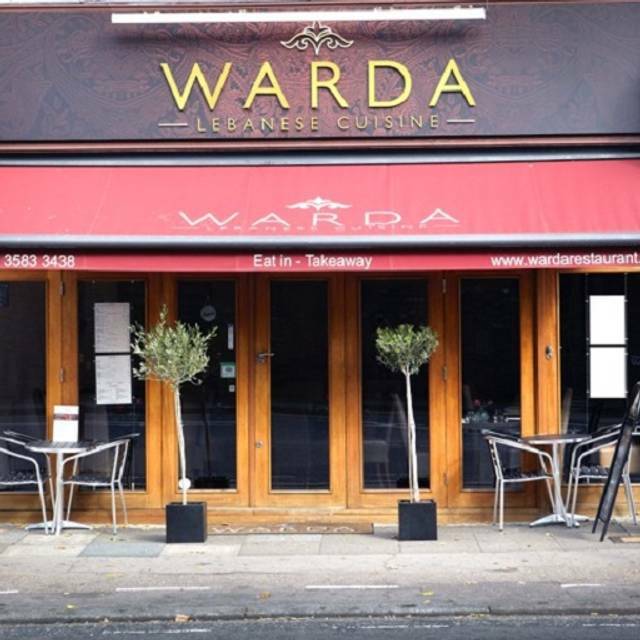 Warda Lebanese Restaurant Southgate combines creative Lebanese cuisine with lavish hospitality, luxurious surroundings, and a world-class wine selection. And that doesn't come as a surprise as the restaurant is run by the experienced team behind famous Fakhreldine restaurant, Mayfair. It’s a great local Lebanese restaurant saving you the trouble of having to travel into central London to find another one. We did have an issue with our table when we arrived and they tried to sit the 4 of us in the middle of a pack restaurant but they soon realised it wouldn’t work so they moved us to a table at the back. Service was good and was as to be expected, but most importantly the food was great. This is our favourite local restaurant - every time we go we have a wonderful meal that is super tasty and that makes you look forward to your next visit! 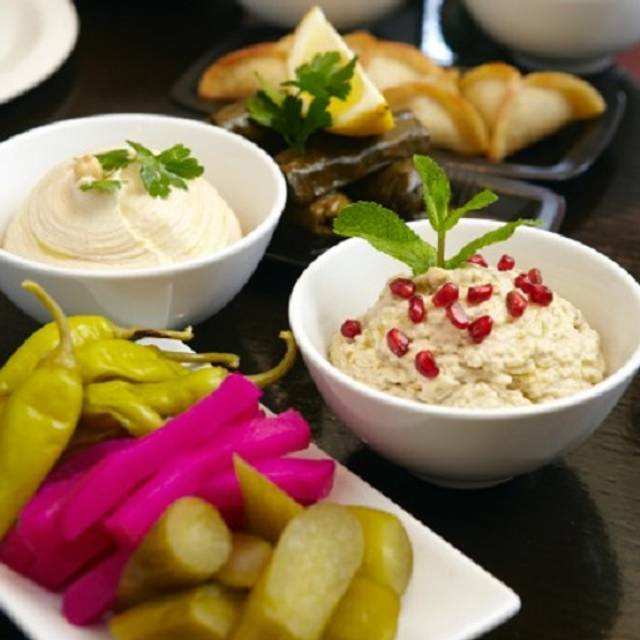 Our personal favourites on the menu are Sambusek, Soujuk and the Houmous Beiruti and the mint lemonade is delicious! The staff are super kind and gentle and always make you welcome. Food excellent and plentiful. Staff are so friendly. This was our third time in WARDA. Will visit again. Been a while since I last visited and was really happy to see that the food was still to a very high standard and extremely tasty. Would definitely recommend. Great host, excellent service and brilliant food. A hidden gem....great food and service in a relaxed setting.The fixed price menus are great value and varied in choice. The baklava and Lebanese teas are also a great end to the meal. Will definitely be back in the future. Great food. Really enjoyed it. Wish I we had discovered this place sooner. We will be back! As vegetarians, we knew there would be a good choice for us and we were delighted. Sady we live too far to visit regularly. There are not many Lebanese restaurants in North London so this is a nice little place. Nice selection and the mixed grill is good. This is one of the best Lebanese restaurants I have been to. The food was excellent, reasonably priced and very good. Service was also very good. I would definitely recommend it and will go again. Excellent starters We had set menu £16. Many varied dishes. Rice and kebabs to follow. Baklava and coffee. Really good value. Staff very friendly. Wine £17 but very good. Had to take some food home. Would certainly go again. Despite being busy with a large family party (80th Birthday), we had excellent service and food. Enjoyed the Lebanese wine again! This was my second time at Warda and again I really enjoyed the meal. The food choice is very good fig vegetarians and vegans. The service was good too. What a shame. A nice local Lebanese would have been a regular trip. Instead we entered a near empty place with the feel of a cafe, encountered an unfriendly unLebanese waitress who clearly didn't want to be there, and ate average food at average value. Despite being almost the only people in the place the service was slow and reluctant and we were clearly imposing by being there. Wards staff were attentive to our needs and friendly. The food was on point- i prefer vegetarian meals and they have a good variety to suit these needs. I loved the bamyeh and the starter the baba ganoush. Yum! They provided some tasty baclava afterwards as complimentary. Not sure why not more people come here, it's a hidden gem.. Excellent food and ambiance. Probably the best Lebanese I've had and I've been to a lot - better than anything I've had on the Edgware Road. Really fresh ingredients and amazing breads and pastries thanks to their wood burning stove. Would travel to eat there again. Best Lebanese meal I have ever had and I've eaten a lot. Was so good I came back twice in the same week. 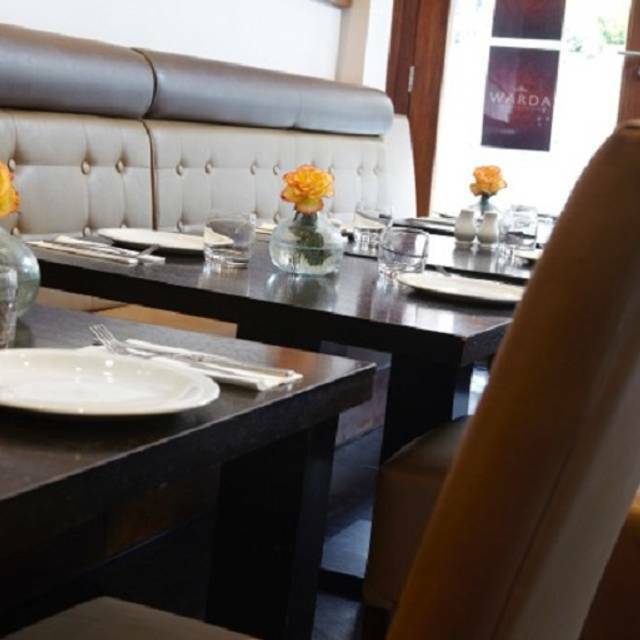 Wonderful fresh food, modern ambiance, family friendly. Already looking forward to my next visit. A family lunch for 10 people on a Sunday afternoon. Good value for money and extremely tasty food. Nobody left here hungry! Was part of a table of 12, not a single person was disappointed! Top food at an affordable price. My favourite local restaurant, and will definitely visit again. Had a lovely family lunch - menu is varied and food beautifully prepared. Don't go mad on the Mezes, though - portions are very generous. Would definitely recommend, will definitely be back. Not the first time I've eaten at Warda and I've always found the food to be lovely. The server on this occasion was not quite as effective as they could have been but not something that would stop me going again, or recommending it to others. Food ok some of it was very tasty but lots of confusion over the price we thought we were overcharged. Absolutely no atmosphere in the restaurant doubt we I'll go back. Delightful Lebanese restaurant, our fourth visit. A warm welcome, well-cooked food with excellent ingredients. For example, the grilled halloumi which is popular in many Middle Eastern restaurants is the best we've ever tasted, soft and NOT rubbery!! Music is at a level which enables diners to talk to one another, we'll be going again! Our first visit and definitely will be returning. 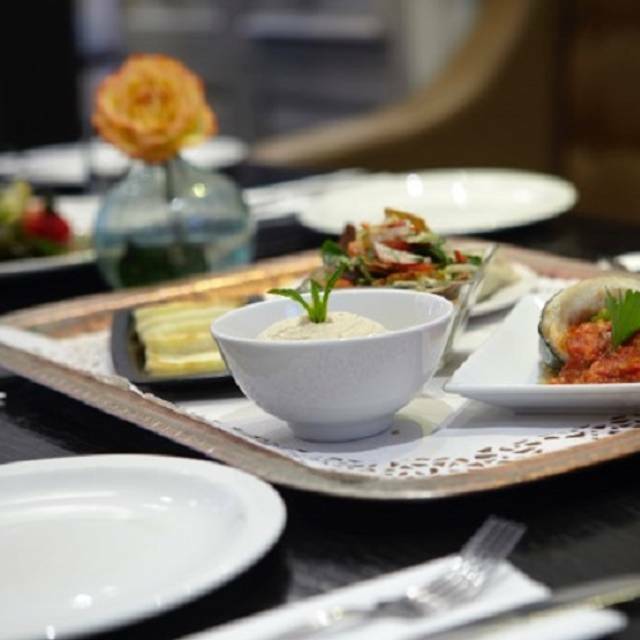 Good choice of Lebanese dishes, all well presented and beautifully cooked. Great service, good ambience (music not too loud). Would have liked more vegetarian main dish options but hey, Lebanese food is more meat than vegi I guess!! Very reasonably priced and inclusive of service which we were happy to pay. Recently celebrated my birthday there and booked for 30 guests. Overall amazing evening and would recommend this restaurant to anyone. Great choice of food and drinks and a beautiful atmosphere. Though due to the amount of guests the service was a bit slow, the amazing staff made it hard to complain. I would recommend getting the set menu (that can be customized) to ensure all food comes out on time. Went here for my brothers birthday and the food was great, alcohol a bit pricy considering I'm in south gate. The wings we had were amazing and honestly would go back for them. The only downside to the restaurant is when you normally go to a Mediterranean restaurant you are served bowls of salad and bread complimentary and even for our main the bread was not enough to eat the meat with; but on the upside the skewers of meat were very filling and tasty. Value for money is great and would recommend as the decor is nice and service is great and so friendly. The food was really lovely, well prepared and presented. There was also a belly dancer' as it was Valentines also very good.